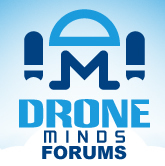 Discussion in 'Drone Cameras and Camera Gimbals' started by photojunky, Jan 29, 2018. For 39 dollars you really cant complain. Both were decent but the "Monstertronic" was better.